Tradescant is a boys’ boarding house. This was newly built by William Butterfield in 1848 as the main accommodation block for the students of St Augustine’s Missionary College. 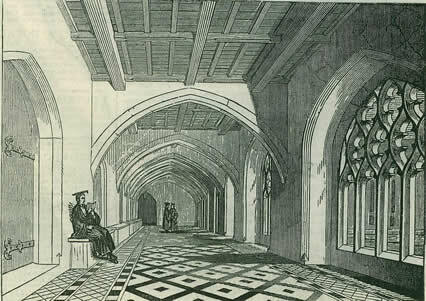 The cloister was later converted into addition rooms. It was one of the two original houses when the School acquired the St Augustine’s site in 1976. Girls were attached to the house from 1979 to 1990. The house is named after John Tradescant (1608-62). His father, John Tradescant the elder, was gardener at St Augustine’s and John the younger was a King’s Scholar from 1619 to 1623.